Like it or not, it is a global world we live in, today. There are motors made in Japan, knobs out of China, switches from Mexico, cameras from the great white north of Canada and plastic that comes from...well hell...I’m not really sure, actually. 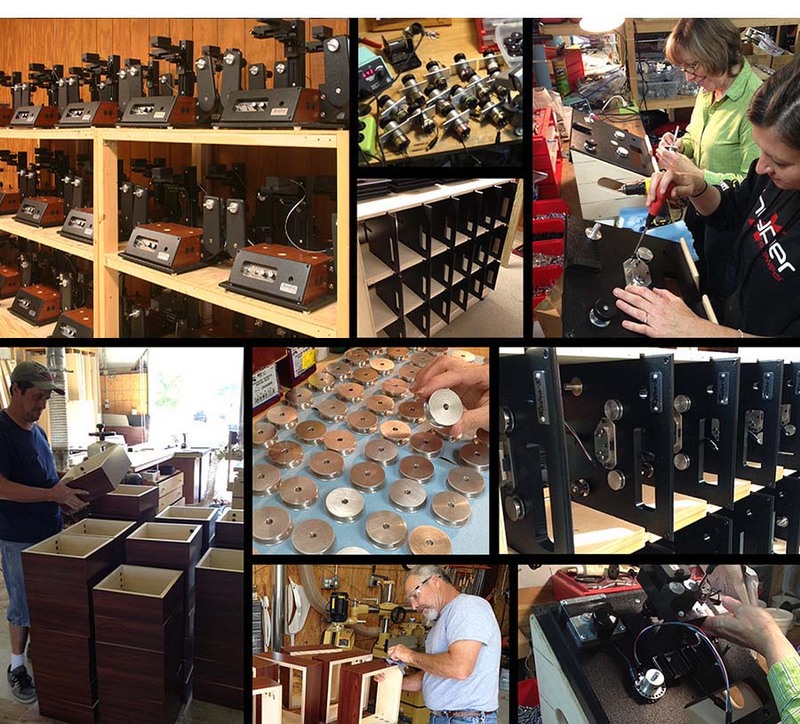 But I will tell you this: the parts that really count such as the solid wood grain housings, the machined reel hubs, precision chassis, polished gates and rollers, the light sources; those are all manufactured by MovieStuff, right here in the United States of America. Even the electronics are hand wired and soldered. Having shipped over 15,000 units worldwide, we’ve hand built more film transfer units for more satisfied customers than anyone else in almost two decades. It goes without saying that we take great pride in our products and our craftsmanship. What we can build for you?